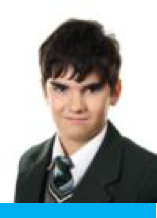 Alex 8 Ash – Alex is a delight to teach and always gives his best in all his lessons. Alex has over 160 achievement points and excellent ATL scores. He is a polite and caring young man who we are very proud of. Keep up the excellent work Alex! 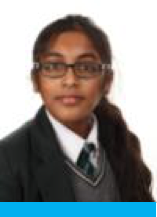 Menusha 10 Ash – Menusha is an excellent student who has over 180 achievement points, ATL scores of 6 and 7 across all her subjects and very good attendance. Menusha’s consistent positive approach to her learning is evident in all her subjects. Well done Menusha, keep up the excellent work! Samantha 13 Maple – Samantha is a conscientious and hard working student who is busy preparing for her upcoming exams. Samantha is very happy as she has received an unconditional offer at the university of her choice. Well done Samantha and good luck for the future.